H2 Environmental Consulting Services is a local Chino-based company that can handle all our environmental consulting, remediation, and management needs. 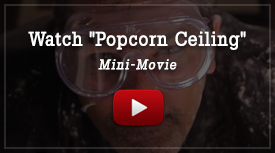 We recently began a blog series on this website that highlights our various areas of expertise. The most recent blogs in this series featured asbestos and lead, and today we’d like to focus on another one of our key areas of expertise – mold and fungus. You can check out the other blogs in this series here. Read on to find out more about our mold and fungus testing, remediation, and management services. You may be wondering why H2 Environmental Consulting Services would specialize in mold testing, remediation, and management services. Mold is all around us – it’s a natural part of life, but there are some seriously dangerous types of mold that can cause harm to people. 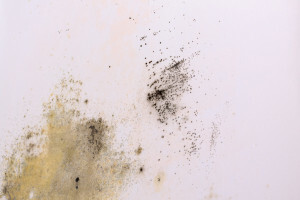 While all types of mold can possibly affect health, some molds actually release mycotoxins that are dangerous to the health of children, the elderly, and those who are immunocompromised. If mold is left unidentified, health problems that can develop include sinus problems, coughing, wheezing, eye and skin irritation, and other immune responses. If you have any doubt about whether your property contains mold, it’s important that you have it tested to determine which kind of mold is present and remediate the situation. H2 Environmental Consulting Services utilizes state-of-the-art equipment to determine the presence of mold and identify what type of mold is growing. We sample air and surfaces Once that is accomplished, we formulate a remediation plan to completely eradicate your property of all harmful mold. Just about everyone has encountered fungus at some point of their lives, even if it was just during a walk in the woods. But certain types of fungus can be incredibly harmful. People who have been exposed to fungus in microscopic form in indoor may have a higher rate of respiratory problems such as asthma. Are you sure fungus isn’t lurking in your home? It can often be found in any area where it has a food source and excess moisture, such as paper, wallpaper, ceiling tiles, carpet, insulation, and food. If you or one of your loved ones suffers from respiratory problems, it’s essential that you have your property thoroughly checked for fungus and other indoor air quality problems. If you have any doubt about the presence of fungus in your home, call H2 Environmental Consulting Services for expert fungus services. We’ll test every molecule of your home to determine whether fungus is present in your home, and if so, which variety it is—and then come up with a detailed remediation plan so you and your loved ones will be able to breathe much easier. Call H2 Environmental Consulting Services at (800) 524-3578 – we are your fungus specialists. H2 Environmental Consulting Services has so many areas of expertise. Stay tuned to this blog to find out more about our areas of expertise and how we can make your property safer and healthier.